← What’s in Store Bay, Tobago? November 30 marked the official end of the hurricane season and after Hurricane Matthew, I’m glad we decided to stay further south. 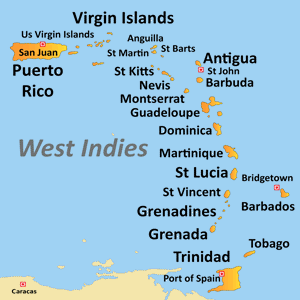 But after five months – half of which we worked hard; the other half we hardly worked – it’s time to slowly make our way up the island chain of the West Indies. 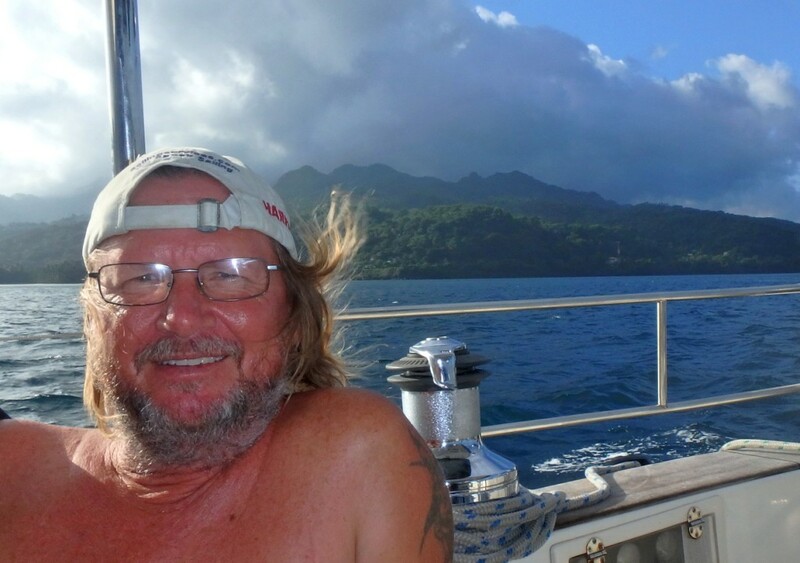 From the relaxing out-of-the-way island of Tobago, we enjoyed a fairly good 12 hour sail to Prickly Bay, Grenada. The current was stronger than anticipated so we had to motor the last couple of hours though. Now that the sailing season is within reach, folks from the northern hemisphere summers are returning to their vessels for the northern winter. A crowded Prickly Bay had yachts anchored right in front of us most of the time; not always a pleasant experience when the wind picks up. But when we arrived, we dropped our anchor right behind “Spray”. 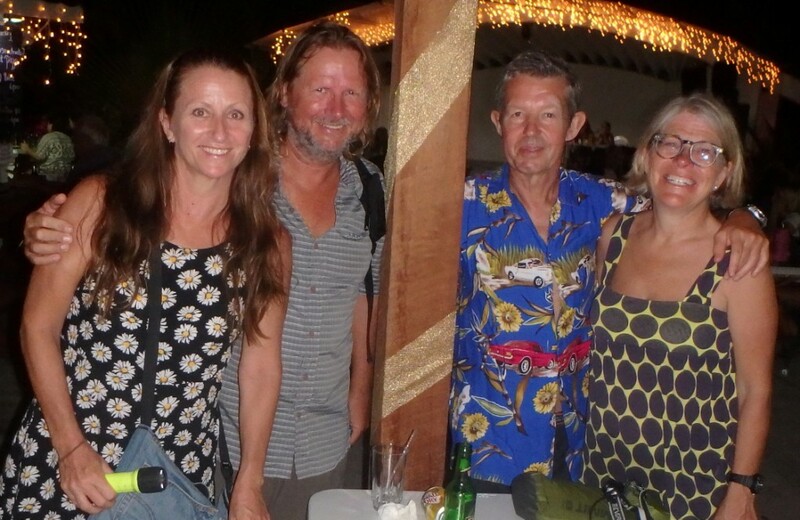 We were delighted to catch up again with Karl and Elisabet, who we spent much time with sailing around Cuba earlier this year. Our friend Brian had also returned to “Coruisk” and it was great to see him again. After a week we also caught up with Chris and Kevin from “Sweet Sensation”. Great to see them too, as we hadn’t seen them since St Maarten in April. As we now have plenty of time up our sleeves until we journey east across the North Atlantic, we plan to take advantage of the pace and explore the islands; each island unique in its own way. But before leaving Grenada, I joined Karl and Elisabet, and others, for a hike to the Concord and Fontainbleu Falls in Grenada. This is graded as a ‘very difficult’ hike. The start of the hike begins at the Grand Etang National Park office. The organiser of the hike, a yachtie, arranged a local taxi guy to take us there and pick us up at the other end. The five hour hike had us scrambling, sliding, rock-hopping and swearing our way through the scrubby rainforest of Mt St Catherine, but it was super fun sliding down rocks and getting covered in mud! We had excellent views of the Grand Etang Lake and far out to the coast. Once at the top Fontainbleu falls, rather than strip off to our swimmers, we jumped in to wash the mud from our boots and clothes. Very refreshing! It was then a 15 minute walk to the Concord Falls and end of the hike. 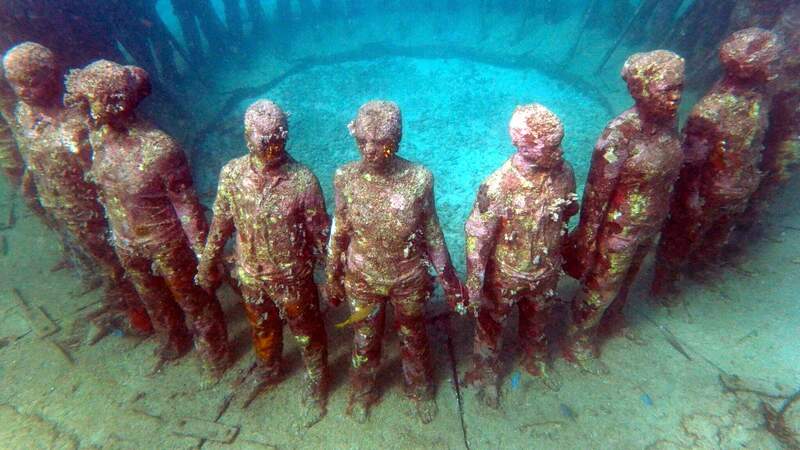 These life-sized sculptures give a fright when you first discover them in the murky depths! Stocked with food from the IGA store, we raised the anchor and took advantage of a couple of days of south easterly winds. We left Prickly Bay and sailed west around the point to Dragon Bay where we grabbed a mooring with the help of local guy ‘Moses’ for a small tip. From here is an easy dinghy ride to the underwater Moliniere Sculptures which we’d visited on the way south, but I was keen to discover some different sculptures in between the coral and weeds. I only found a couple of different sculptures as the water was a little murky and some of the sculptures are no longer pristine, but it was nice snorkelling around anyway. Our next stop was L’Esterre Bay on the north coast of Carriacou. We decided to stay there as the south easter was much stronger than expected. Tyrrell Bay at Carriacou felt the effects of the swell, while we were quite comfortable on the northern side. The mooring fee at L’Esterre Bay is EC$25 per night. The south-easterly blew in with a surprising force. I must admit I’ve been slack lately not checking the long range forecast and hadn’t expected this blow on the forecast. Once the rain began it did not stop for two days. The wind blew around 25 knots at times, but the anchorage was quite good with little swell, if any. By evening though the wind shifted easterly and sent fetch through the bay which made it a bit bouncy that night. The next day on Facebook we would learn that 60kn winds blew through Rodney Bay at St Lucia causing three boats to drag onto the beach. With the wind easing and shifting to the east, we motored to Tyrrell Bay. There wasn’t much happening in Tyrrell Bay and with grey skies and drizzle, we decided to leave the next day and head to the island group which we didn’t visit on the way south – St Vincent and the Grenadines. Aside | This entry was posted in 2016, Grenada and tagged Caribbean, Grenada, Moliniere. Bookmark the permalink. Thanks Jenny, and a Merry Christmas to you too!